Fame Storage System Pvt Ltd We Pride ourselves to offer Plastic pallets, euro pallets, export plastic pallets, molded plastic pallets, warehouse pallets, industrial plastic pallets, and many more. Being recognized experts in all lines of product and process. We ensure that we fulfill the diverse needs of customers. 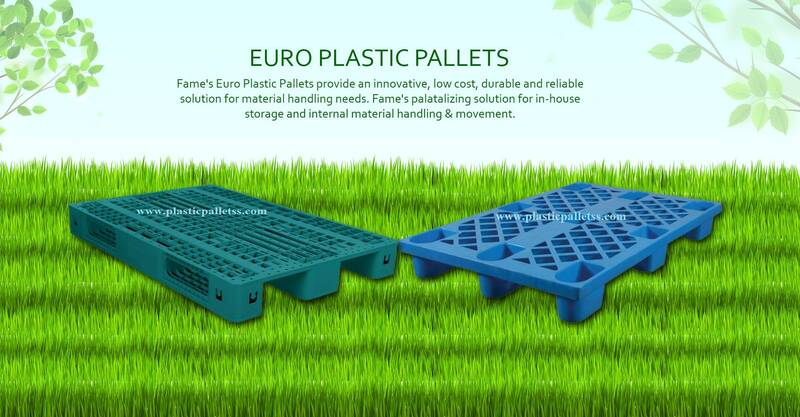 We are one of the leading manufacturers, exporters and suppliers of Plastic Pallets. These are fabricated using optimum quality raw material, HDPE Pallets give you a lot of Variety like Cold Storage Pallsets, Reversible Pallets, Four Way Entry Racking Pallets etc. Backed by a team of experts, we specialize in manufacturing, Exporting and supplying Pallet. Export Cargo Pallets are and Ideal Solution to your requirements of Export Shipments.